Rock & Metal 4 You: CD-Review: Moonland feat. 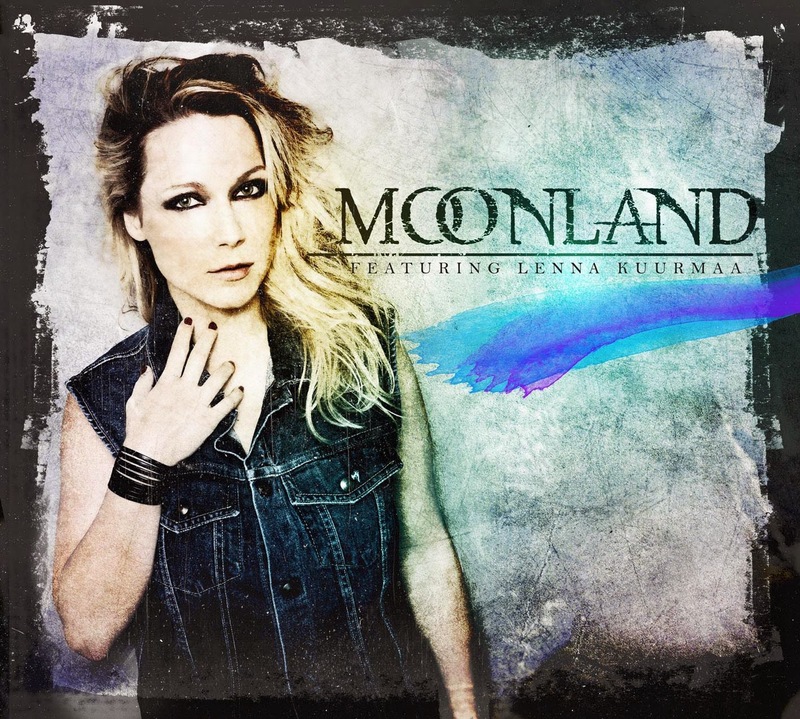 Lenna Kuurmaa - "Moonland"
CD-Review: Moonland feat. Lenna Kuurmaa - "Moonland"
Does anybody of you guys remember VANILLA NINJA? The four girls form Estonia ruled the radio stations and music tv from 2003 to 2006 in Europe with their pop/rock and in 2005 they were also part of the Eurovision Song Contest. One of these girls was Lenna Kuurmaa. Since 2007 you hardly hear or see something new from her outside Estonia, but now Frontiers Records starts a new project called Moonland with Lenna on vocals. Is her international comback album a winner? I know that Vanilla Ninja didn't had the best stand in the Rock community - many people saw them as another mainstream girlgroup-outfit without any talent, which was just attractive for teenagers. I've to say at this time I really liked this group. For sure they weren't a "true" Rock'nRoll band, therefore their music was too much pop oriented, but on the other side Vanilla Ninja featured in many of their songs a classic 80's rock vibe. This is what I liked about them and especially Lenna Kuurmaa had a pretty good and remarkable voice, so I was really excited when I heard about Moonland and Lennas return to the international musicbusiness. First of all I want to make something clear: Moonland has not much in common with Vanilla Ninja. Don't expect a second Vanilla Ninja. Moonland is music for an older target group and is a bit heavier, which means it is classic AOR/Melodic Rock. But did we expect something different from Frontiers Records - the home of AOR and Melodic Rock? Surely not. When I listen to this debut album names like Heart or Roxette come to my mind, but sadly not in perfection. What we get to hear is again the mixture of soaring guitars, tons of harmonies, slushy lyrics and a polished sound - like on every other Frontiers project. I was really hoping that Moonland would do some things different, but instead of it we get to hear the same formula again and again and after half of the record Moonland becomes more and more a little disappointment to me. But I've to say this isn't Lennas fault. No, she sounds better than ever on this record, much more mature and still very charismatic. She has just a great voice and she is the reason why you should listen to this album. It's again the more average songwriting that stops "Moonland" from being a great album. Ok there are some pretty good songs on this debut like the opener "Heaven Is To Be Close To You", the beautiful "Open Your Heart", as well as "When Love Is Gone" and "Out Of Reach", that feature some very good sing-along choruses and great melodic guitar-solos, but that's it. After seven songs you notice even more how repetitive the songwriting is and in the last third it just gets boring. The overall presentation is really good, the band is tight and the whole sound is truely enjoyable, but this can't rescue some songs that sound just like material off the shelf (for example the replaceable "Look At Us Now" and "Another Day In Paradise"). The rest is solid stuff, but nothing groundbreaking or new. So, "Moonland" is neither fish nor fowl, it's not a bad album, but it is also far away from being great. It's a very solid LP with fantastic vocal performance, cool guitarwork, a tight band and a hand full of good songs, but all this is overshadowed by some copy/paste songwriting which leads to boredem after a few listens. It's an album you can easily listen to, but it isn't thrilling. AOR can be done with much more freshness, variety and energy. Look at H.e.a.t., Robin Beck, Johnny Lima and so on. 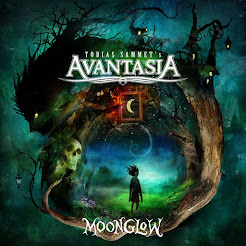 "Moonland" never reaches this high level and so it is solid fare for AOR die-hards and of course for each Lenna Kuurmaa fan.